I definitely want to continue my post series on the California Gold Rush diary entries of Alfred Jackson, but by the same token I think it good to break up that series with an occasional post like this one. Then we'll get back to Mr. Jackson and the insights he provided about daily life in the California goldfields of 1850. At the risk of driving you good folks into the ground by repeating this statement yet again, I've been at this small-scale mining thing now for the better part of 40 years. And here's even more repetition for you...I started my mining career running a gasoline-powered "puffer" dry washer in the California and Arizona deserts, with occasional forays into Baja California and Old Mexico. Yes I know you know that, but what you don't know is that I thought I'd seen it all when it came to dry washer variants. Wrong. Thanks to my friend and fellow New Mexico miner "Rattlesnake" Jim (who, by the way, has done his fair share of dry washing over the years), I've been introduced to a machine the likes of which I've never seen before. Even if some of you have seen it before, it's a first for me. So I thought it'd be interesting for many of you to take a look at this thing. "Captain" Weaver and the "Potato Patch"
The easiest way to show you what I'm talking about is the video that I'll link you to in a minute. The footage you'll see in the video was taken at a claim at Rich Hill in Arizona. Rich Hill got its name for good reason as many small-scale gold miners, "desert rats," and nugget shooters already know. I've written about Rich Hill in the past but let me provide you with a brief historical roundup. 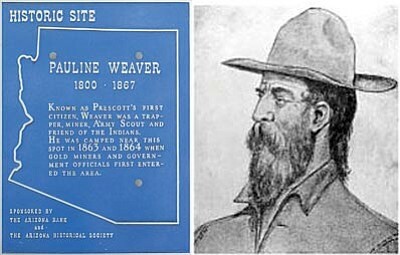 A self-appointed "Captain" named Pauline (yep, Pauline) Weaver started out as a Tennessee mountain man before heading west to the Rocky Mountains where he eventually ended up for a short while in Taos, New Mexico Territory (about an hour and a half drive from where I live). Although his knowledge of gold prospecting and mining was limited, to say the least, "Captain" Weaver led a party of gold seekers out of New Mexico into the Hassayampa River region of what was then Arizona Territory. 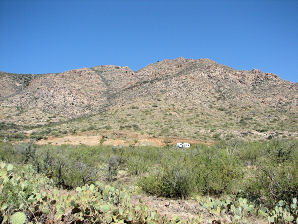 While camped at the base of a mountain near modern Yarnell, Arizona the party discovered gold...and lots of it. Well, actually the gold found them. One of the Hispanic members of the group was searching for livestock that had wandered off and literally stumbled upon a shallow depression atop the mountain that had nuggets as large as potatoes partially exposed within it. Weaver and other members of the party began prying these large gold specimens out of the ground with their hunting knives and not long after that, the rich depression became known as the "Potato Patch." And the mountain containing the "Potato Patch" became know as Rich Hill, one of the richest gold producers of placer gold in Arizona. If you clicked that link you know now the unit "Rattlesnake" Jim speaks of is a 1/2 horsepower electric cement mixer that will be converted into the dry washer configuration you saw in that YouTube video at Rich Hill. It's called the "Gold Drum." Will wonders never cease??? 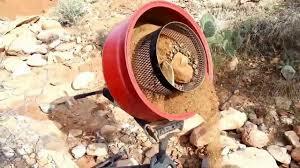 You know, I'm always amazed by the ingenuity of small-scale gold miners. 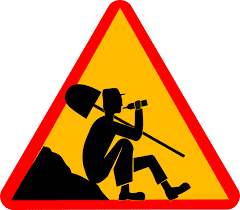 And I have to say that "desert rats" who work dry placers tend to come up with more good ideas about recovering gold than any other group of small-scale miners. My opinion, of course. But I didn't fall off the gold mining turnip truck yesterday when it comes to wet or dry placer mining. So you might want to concede that little victory to me. Oh, and Rich Hill? It's still a hell of a good place to work for gold but don't set your hopes too high. Rich Hill and its immediate environs are pretty much claimed up these days. But someone willing to pay for a claim there or do some research into lapsed or invalid claims might turn something good up. Give it your best shot out there. My thanks to "Rattlesnake" Jim for turning me onto this rig. You like this setup Jim? I'm not so sure I would run out and buy one. It doesn't look nearly as efficient as a regular drywasher. As far as catching gold that is. As for moving lots of material the drum looks pretty good for that. Of all my many years of mixing mortar and concrete in a barrel mixer, it just never dawned on me to mine gold with it! I don't think I said anywhere in the post that I liked the rig, but I'm always open to the possibilities. In truth, I'm a "puffer" guy from wayyyyyyyyy back and probably always will be. I'd sure as hell like to see one inaction firsthand though. Roger that. You never said you liked it, but I was just wondering if you did. I wonder where the inside drum is from? At first I thought washing machine, but that would be too big. Have a great day Jim and thanks for the interesting topic. the more I think about it this drum Contraption seems more like an electric classifier than any kind of a dry washer. I'd like to see it live in operation. If "Rattlesnake" Jim makes one and runs it, maybe I'll get that chance. You got a point there my friend! Kind of an interesting contraption. Half trammel, half electric dry panner. As long as the gold doesn't tumble up onto the drum, it looks like it should work pretty well. It seems like a simple, easy to make thingy. 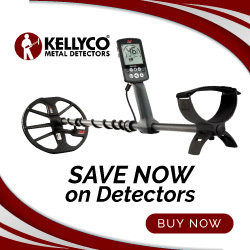 Something I would never have thought of Gary. 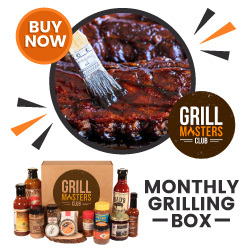 Interesting deal.